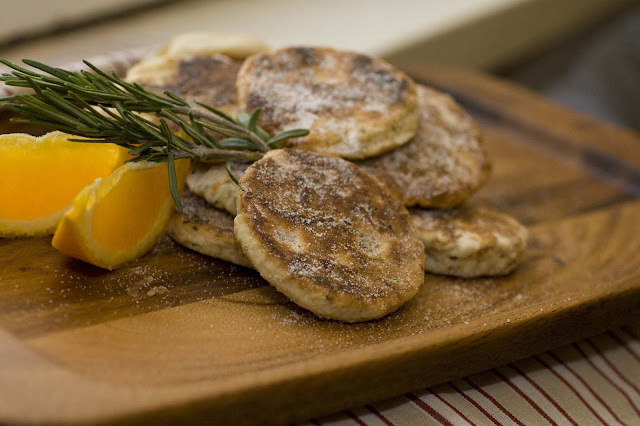 This comes quite belatedly, but in celebration of my Welsh heritage I made Welsh cakes, or Picau ar y maen, on St. David's Day. 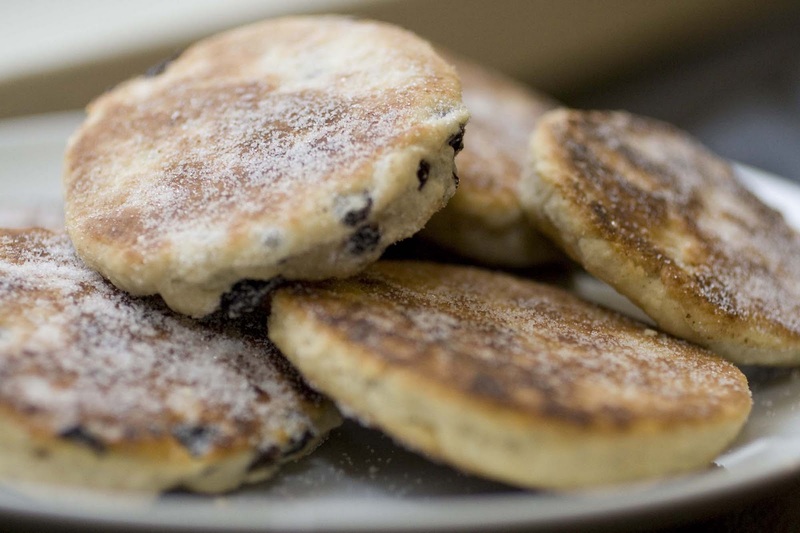 And since I have a blog and all now, I thought I would make some shiny new types of Welsh cakes. I tried a savoury one with cheese and leeks, of course, and another one which turned out to be my favourite: orange, ginger and rosemary. 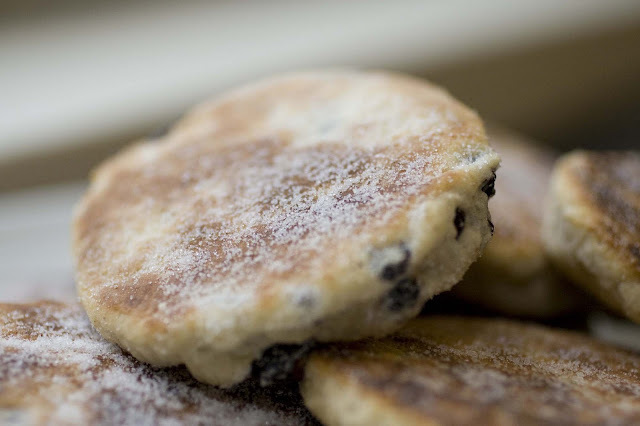 If you think of a Welsh cake as a kind of flatter, biscuity scone, then I suppose it's natural that those would have worked out. These are the oldie-but-goodie classic currant filled cakes. This basic recipe I do at home with my dad, who hates lard (and is technically Jewish), so that's not in it. We also use an ale instead of the splash of milk most recipes call for. And much more spice than is usually in. So all in all, I suppose this is one strong Welsh cake, just the way I think it should be. Mix the flour, sugar, mixed spice, baking powder and salt in a bowl. Rub the butter in with your hands until crumbly. Just think of it like you're making pastry, so don't overwork the dough, or it'll be really chewy. Mix in the currants. Mix the egg in, and then splash in the ale just until the mixture comes together like pastry dough. On a lightly floured surface, roll out the dough to about the thickness of your little finger. Cut out round with a round pastry cutter or even a cup. If you use one that is about 6cm across, you should get 15-16 cakes. 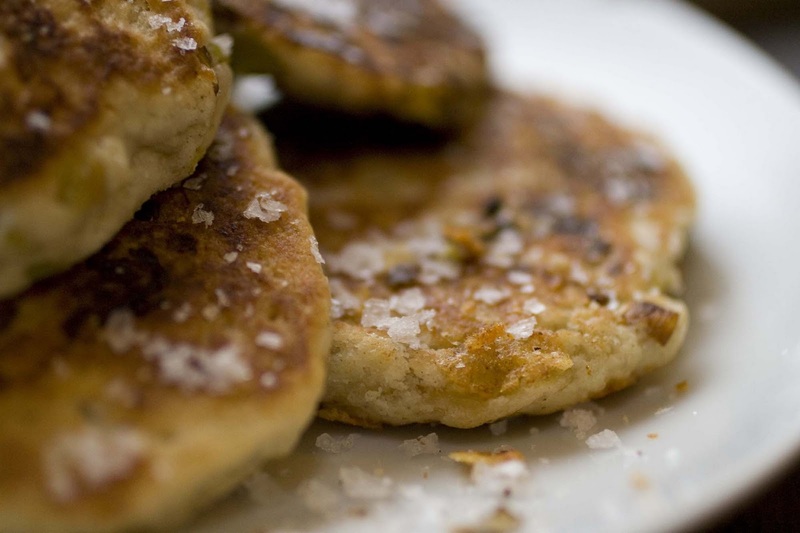 Brush a griddle or frying pan with some butter over a low-medium heat. Cook the cakes for 4 minutes on each side. They should just be golden brown on the outside, but cooked through inside. When cool, dust with caster sugar. These last for quite a few days, so try not to eat them all at once! For the orange, ginger and rosemary cakes, I just add 2 sprigs of chopped fresh rosemary and the grated zest of one orange in with the dry ingredients, and then use chopped crystallised ginger instead of the currants. You could also add the juice of the orange when it calls for ale. 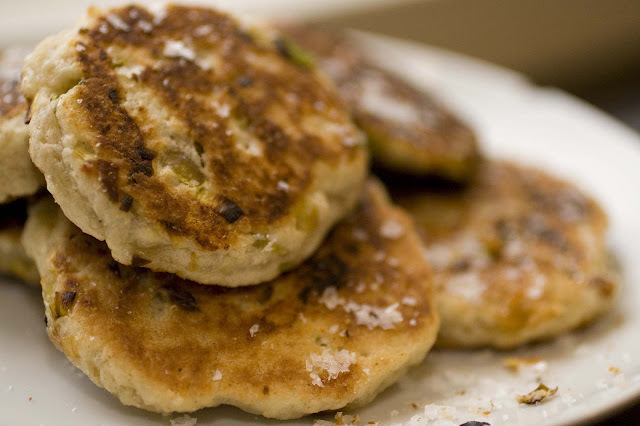 And for the savoury ones, which sound strange but I promise are lovely, you need around 50g of (obviously Welsh if you can) cheddar or similar cheese and a leek. 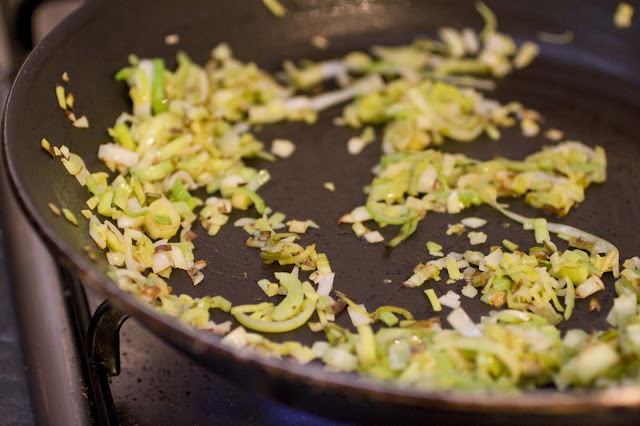 Chop the leek up, and fry it in some butter until golden brown and softened. Let it cool a little while you get on with making the pastry, but without the sugar, and a good pinch of nutmeg instead of the mixed spice. Add the grated cheese and the leeks at the same time as the butter. Dust these with some sea salt when they're done, and they make a really nice if rich biscuit for cheese.